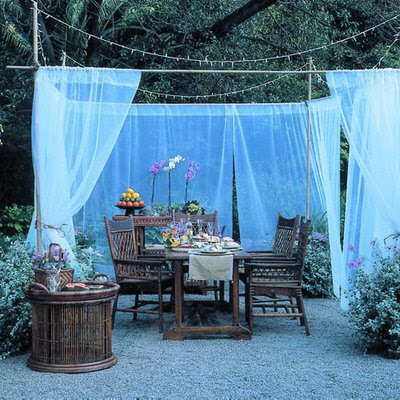 Outdoor fabrics used as canopies and drapes look so romantic and tropical. To me, it makes the space seem more like an extension of the home and another room. 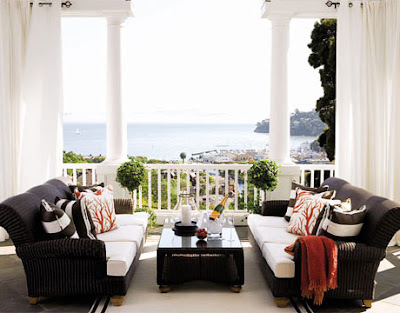 Plus, fabrics are a great way to add privacy to your patio or yard. Unfortunately, my little backyard offers no built in opportunities to hang outdoor curtains. I considered adding an outdoor gazebo with curtains to my patio. 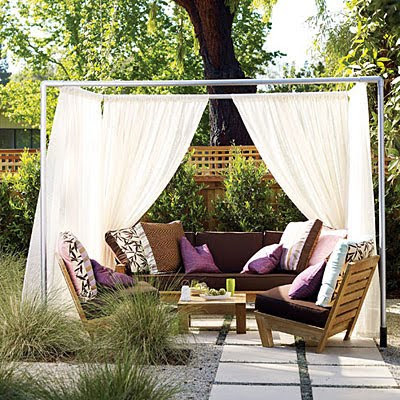 These are great for privacy and shade, but I am hesitant to get one because I've heard they tend to blow away or get damaged in heavy wind, even when secured into the ground. 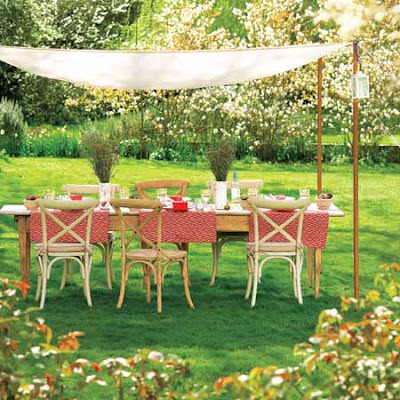 Has anyone tried an outdoor gazebo in their yard? Plus, I already have an offset umbrella, so I don't really need the canopy gazebo. 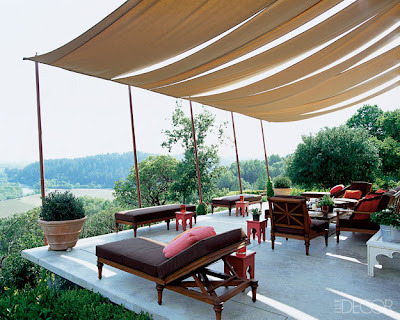 This outdoor canopy is so cute, without being very imposing, I may just have to try it in my backyard! Are there any other ways to easily add fabrics to a deck or patio? What solutions for privacy and shade do you use in your yard?